Do you make your own choices or have circumstances beyond your control already decided your destiny? For thousands of years, this question has intrigued and perplexed philosophers, scientists, and everyone who thinks deliberately about how they choose to live and act. 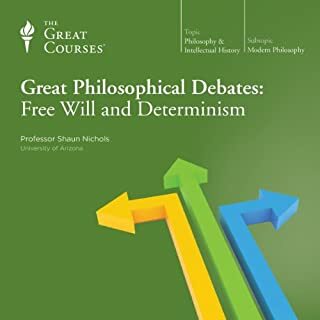 For if free will makes us accountable for our choices, does the opposite hold true, that determinism absolves us of responsibility? 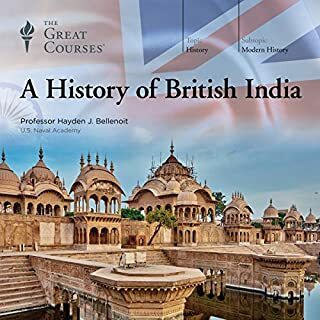 No era is more pertinent to understanding how present-day India, Pakistan, and Bangladesh evolved than the nearly 200 years of British rule. This colonial period was a time of deep change and transformation - for India and for the world. 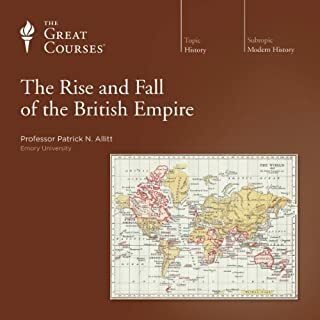 These 24 engrossing lectures offer you new perspectives on the history of European imperialism, on world economic history, on the features of British colonialism, and on the rich cultures of the Indian subcontinent. You'll follow this Enlightenment thinker's 84 astoundingly productive years and go inside not only his masterpiece, Candide, but the hundreds of other works in almost all the literary, philosophical, and polemical genres current in his day, and the more than 20,000 letters this prolific writer and thinker left behind. What was Voltaire's world like? Who and what influenced him? What questions and dilemmas did he ponder? What evils did he struggle against? What reforms did he advocate? What made him laugh and cry, or write a book like Candide, which is at once so funny and so sad? 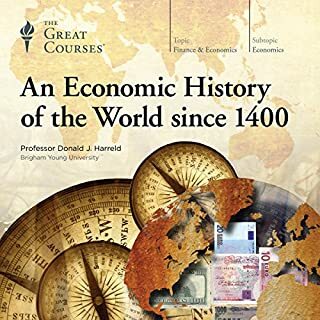 And what is his place in the history of the Western mind? 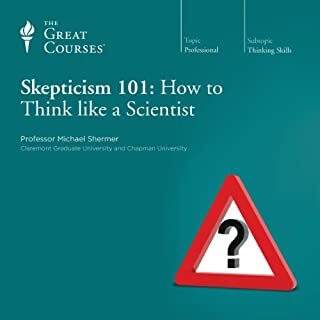 The answers to these and other questions can be found right here in this illuminating lecture series. If you're unfamiliar with Voltaire and his works, prepare to meet one of Western literature's defining writers. And if you already have some familiarity with the man, prepare to discover even more insights into why he still matters after all these years. This is great but very much a surface treatment, an introduction. given the subject matter, I'm not sure how it could be deeper without being colossal, but it did seem quite a bit shorter than the other teaching company courses. 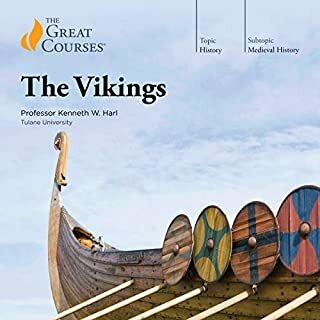 This was one of my favorite Great Courses. I wasn’t expecting to like it as much as I did. My only real exposure to Voltaire before this was reading Candide in high school. 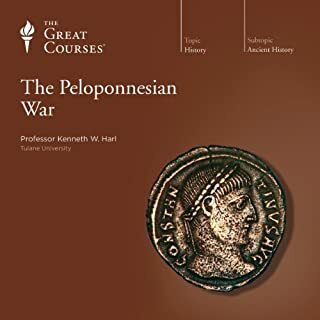 The professor has such passion for the topic, and manages to pass it on to the listener. I felt I learned so much about not just Voltaire but the times he lived in, especially about the forces in French society that led to the revolution, and the figures of the Enlightenment that continue to impact us today. 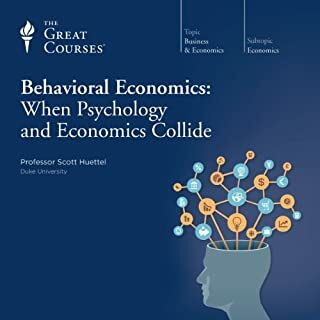 I thought Prof. Kors was one of the best professors in the Great Courses series -- I always looked forward to listening to him. I also thought this one was perfect on audio. I never had any confusion because this wasn’t in video form. And I find I make much more progress on Great Courses that are in audio since I’m not tethered to the TV. 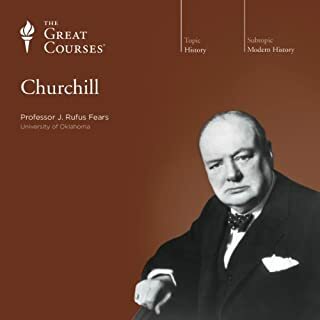 That said, anyone new to the Great Courses should realize that they sound like a professor lecturing (which is what it is) and not like a narrator reading an audiobook. I actually find that more engaging, but I realize some listeners prefer a smooth narration, rather than someone lecturing from a podium. 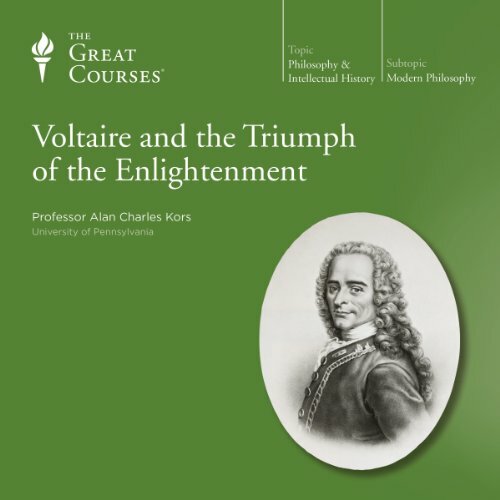 this is my first introduction to Voltaire and the enlightenment. 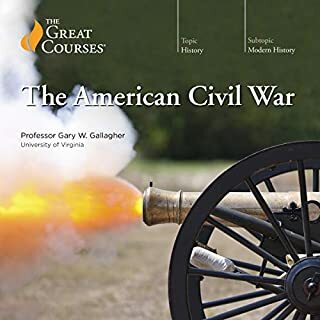 I found it very entertaining and thought-provoking, I recommend anybody interested in the French Revolution or the American Revolution listen to this course. as it illustrates the thought processes of the 18th century. 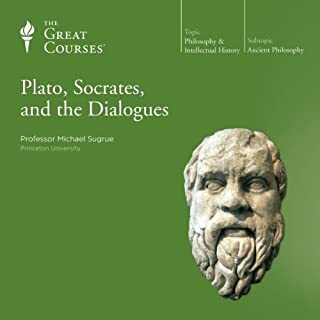 this is a fascinating treatise on philosophy and the thoughts of man which I am new to. 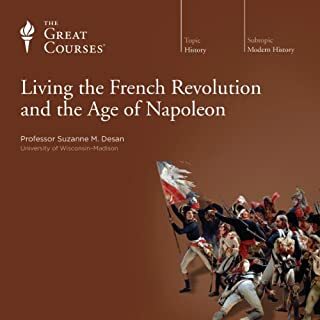 I just finished the course on the French Revolution from the Great Courses. I plan on now listening to Candide and immersing myself in this great thinkers greatest play. 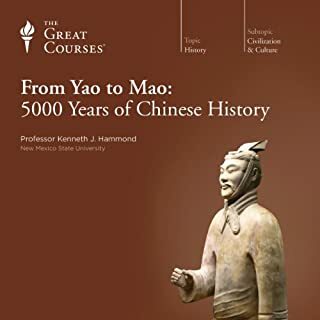 the narration is entertaining and enlightening at the same time I listen to this course in the space of one day I found it so interesting. 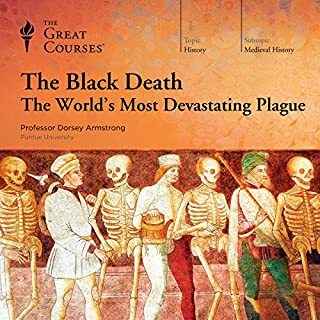 I loved this lecture series. Professor Kors clearly knows the subject and is a great teacher and orator. This is education and philosophy at its best. What made the experience of listening to Voltaire and the Triumph of the Enlightenment the most enjoyable? The passion of the professor. What other book might you compare Voltaire and the Triumph of the Enlightenment to and why? Have you listened to any of Professor Alan Charles Kors’s other performances before? How does this one compare? No. But, I know his politics are different than mine but, he skillfully kept his libertarian/conservatism from the lectures. The parade in France for Voltaire near the end of his life. Does history offer an intellectual peer for Voltaire? His prodigious writing was not something I was aware of before these lectures. 8 million words boggles the mind. Loved it. The professor has passion as well as a mastery of the subject matter. Excellent delivery... excellent all around. 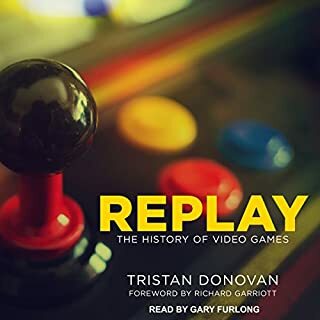 I completely enjoyed listening to this book. So much so, in telling my husband about it, we put it on during a long car ride, and listened to it again. After one lecture, my husband was captivated too. 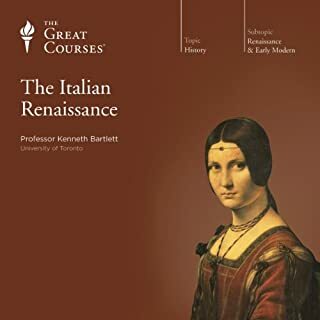 I am not sure if this is the exact book, but comedian Tom Rhodes recommended a Great Courses audiobook on Voltaire - it was such an unexpected choice - I had to give it a try when I came across this in Audible. 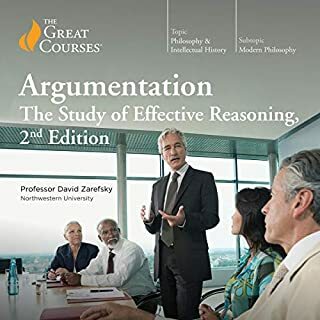 Each half-hour lecture is dense with information, but easy to understand. I loved Professor Kors as well - he has a distinctive style of talking and accent, so much at first you might go, "oh, I'm not sure I can listen to this" - but his enthusiasm, passion, knowledge and humor makes him come alive as if you were sitting in a favorite professor's classroom. 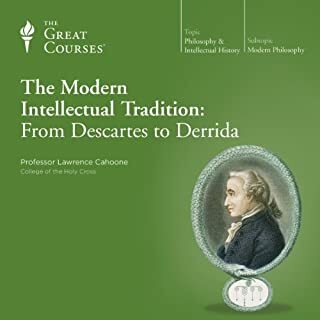 I grew so used to him explaining this pivotal and interesting era of history, I purchased another Great Courses "The Birth of the Modern Mind: The Intellectual History of the 17th and 18th Centuries" that Alan Charles Kors also presents. I wish there were more!